DuRant & DuRant, P.A. is here when you need it. Business, Real Estate, and Serious Injury Attorneys. Physical and economic injuries have far-reaching impacts on your life. The judicial system can give you relief in the form of monetary damages. 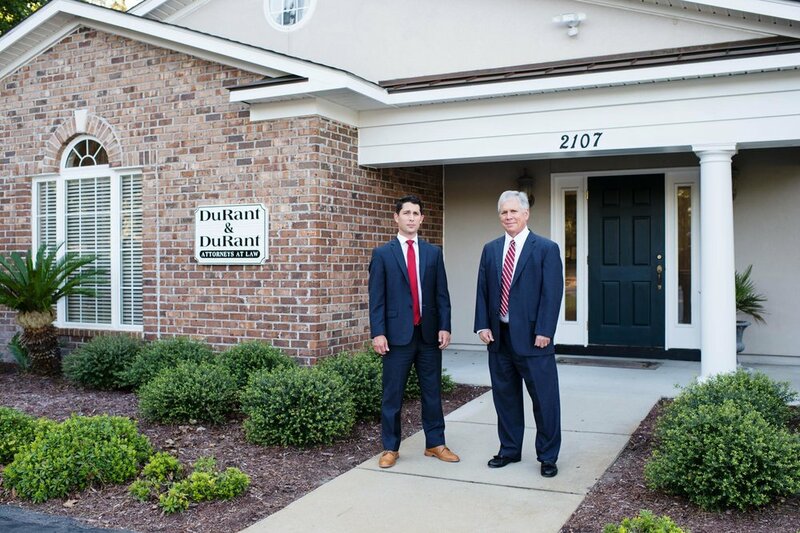 The lawyers at DuRant & DuRant, P.A. can be your advocate through that process. We don’t take every case that walks in the door, so we can focus our efforts on developing the evidence showing how you’ve been injured and why you should get the compensation you deserve. North and South Carolinians can trust their serious injury, wrongful death, or business dispute to the expertise and experience they offer. Not all impactful decisions are made by a judge or jury. Should you be incorporated? Should you sign that document and what does it mean? DuRant & DuRant, P.A. understands the unique legal needs of contractors, beachwear product importers, and small businesses alike. From significant contracts to corporate formation, experienced representation and thorough research give our clients peace of mind and time to focus on the day-to-day operations of their business. Your mortgage payment can take up the highest percentage of your paycheck. You should know what you’re getting before purchasing or buying land. Our real-estate clients—residential and commercial—trust their sales and acquisitions to the reliability that thirty-plus years of experience offers. If you need an advocate or legal advice, trust the expertise, dependability, and integrity that DuRant & DuRant, P.A. offers. DuRant & DuRant, P.A. consists of Frank DuRant (right) and Julian DuRant (left).